If structure is the answer then what is the question? There really isn’t a question as much as an approach to the way you spend your time out on the ice. Concentrating on structure is a way of eliminating dead water and putting more fish on the ice. We all approach open water fishing with the thought process that the fish we may be chasing are relating to some type of structure and we fish that structure in search of our quarry. Well why do we seem to forget that approach when the ice covers the very waters we fish? Ignoring the significance of structure when fishing the frozen surface can lessen your chances of putting more and larger fish on the ice. Just because the water has glazed over with a thick coating of ice does not mean that the fish are going to change their habits and ignore their natural instincts. The winter will certainly change a fish’s habits and movements; however the one thing that remains the same is their instinct for food and cover. Both food and cover are part of their daily movements and believe it or not structure has a hand in both of these aspects. Let me take a minute to define structure. This is not the dictionary definition, but a simple explanation of what structure is. Structure is a change in the surroundings from one area to another. This is as simple and basic as it gets. The idea of structure can be broken down into several categories: depth transitions, bottom composition, physical structures, or even current flow. These all have a role in how fish relate their movements during the day and even at night. Just as we do on the open water, on the ice it is key to use your hydrographic maps. These maps will help you locate any possible areas that may contain structure that you will want to focus on. Most maps will give you contour lines, bottom composition, and even weed beds. If the map has limited information then you need to use your electronics to help you look for the areas you want to fish. Your electronics will allow you to find bottom composition, weeds, and depth transitions. By drilling a series of holes along a known contour line you can jump from hole to hole and in essence “map” out the area using your Vexilar or underwater camera. 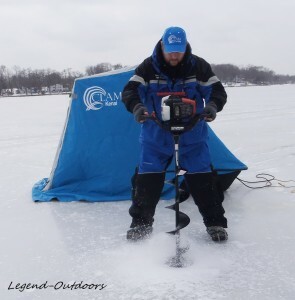 The Vexilar line of flashers are specifically designed with the ice fisherman in mind and will allow you to key in on the structure you are trying to find. Mapping out an area can often mean you end up drilling dozens of holes to help build a visual image of what is under the ice. Drill and check your depth, drill again and check again. 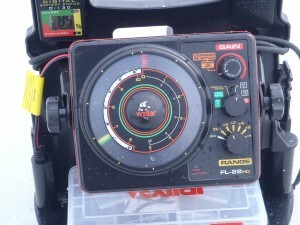 This mapping will play an important role in your ability to locate and target fish. If you drill a hole and find weeds and then the next hole is void of weeds you will know that the bottom makeup may have changed and this could be a great area to focus on. Start drilling a circular pattern around the area to find the weed edges and bottom changes in the area. Work outwards and soon you will have a very concise idea of what can be found under your feet. Depending on the species we are in search of will make a huge determination to the type of structure that you might be looking for. Early and late season bluegills are going to be relating to the green weeds from the open water season. These provide the fish with cover as well as a good supply of food and oxygen. If it is crappie you are after then you are going to want to be in search of underwater logs, cribs and deeper water transitions. The crappie will tend to school up and suspend over the deeper water following schools of minnows. As the nightfall comes they will move up in the water column to feed on the minnows that are feeding on the plankton that is found near the bottom of the ice. These fish use the deeper water as a safe haven from other predators. The changes in bottom composition will also key you in onto fish. 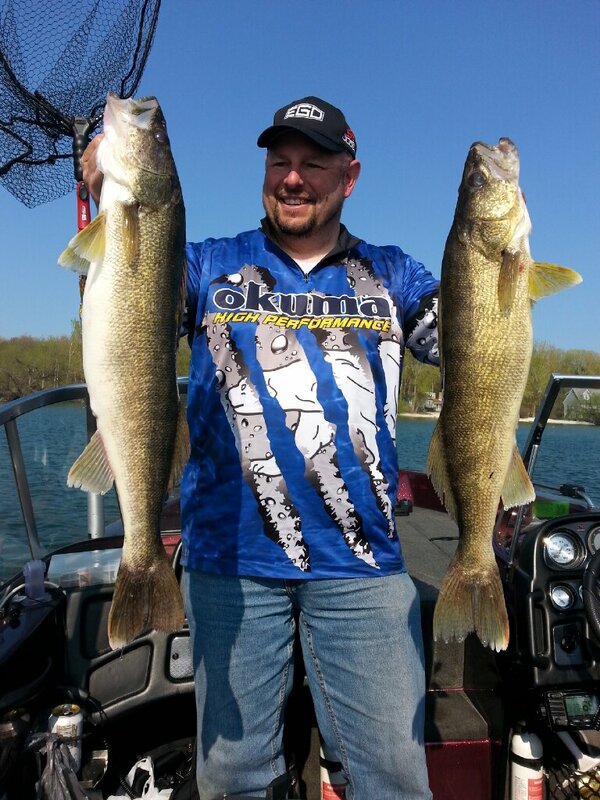 A hard rocky bottom with a soft muddy or sandy bottom transition will often be a literal highway to feeding walleye and perch. The key to any body of water is to locate the given structure that may be present in the area. Some lakes are almost devoid of any sort of structure and in this case subtle things are often thought of as structure. Simple 1 foot change in depth of the water can create an area that the fish will relate too. It is important to not get hung up on the thought that structure means that there has to be a log or crib in an area or a huge patch of green weeds. Structure will come in many shapes and sizes and will be very dependent upon the body of water that you are fishing. Depth changes, bottom changes, and even water clarity changes can certainly be considered structure. It is your job as an angler to search out these possible changes and focus your efforts on fishing them and learning how the fish are relating to them. Not all fish like the same types of structure so it pays to do your homework a bit on not only the species that you are after, but the body of water that you plan on fishing. As we covered in a previous column it pays to be mobile and by doing this you will be able to cover a lot of water and be able to map the areas out with ease. This will in turn allow you to focus in on the productive water and eliminate any dead water areas that you might waste your time on. Use your electronics a good map and focus on keying in on structure. This time spend mapping the water out will pay off big in the long run and will allow you to have a much more productive day out on the ice.